The 3D Self Portrait project provided a step-by-step introduction to the use of mixed media sculpture and collage while allowing each participant the freedom of personal expression. 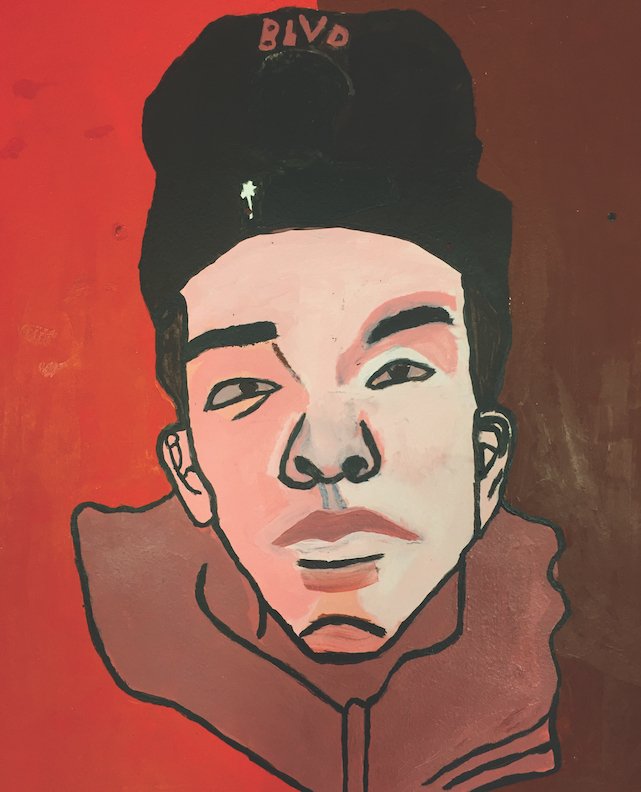 Participants developed imagery by sculpting their own facial features and forms, choosing to either represent themselves in an anatomically accurate manner or portraying an alternative self-image. The final step of painting their constructions established this depiction by adding color and placing their self-portraits in a painted environment. 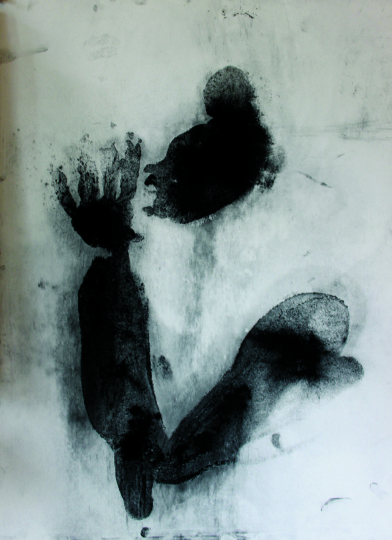 Contemporary artist, David Hammon’s, created a series of Body prints in the 60’s and 70’s. Hammon’s spoke of these works as his “moral obligation as a Black artist to try to graphically document what I feel socially”. It felt timely to revisit these works and the concepts behind the creation of them with Artistic Noise participants in 2016 & 2017. Although these prints are dealing with some very complex issues, the act of creating them is actually quite celebratory, playful and completely messy. Our participants decided on a gesture that represented how they felt that day. Their emotions responded to their incarceration, their love of family and also the playful quality of the project. 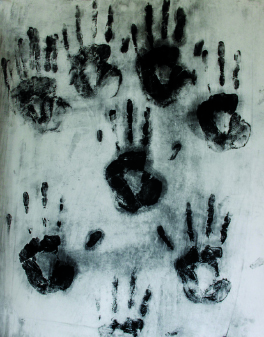 Using Vaseline (Hammon’s used grease) the artists covered either their faces or hands and pressed these onto large sheets of paper. We then dusted the paper with charcoal powder and when we removed the excess charcoal these beautiful and haunting images emerged. In this three panel mural, the artists explore two contrasting themes that plague them: Entrapment vs Independence. After learning about traditional muralists and artists that started out as graffiti writers, participants found images in magazines that resonated and inspired them personally. A collaborative effort was used to create a meaningful composition. Artists experimented with liquid paints by pouring overlapping colors for the background that functioned as a therapeutic release. Later artists went into details with paint pens drawing out their personal imagery. The combination of release and control with the use of material paralleled the issues and theme of Entrapment and Independence in the finished painting. All of our students at Artistic Noise are, or have been, involved in the juvenile or criminal justice system. Artistic Noise workshops allow space to process the many, culminating daily experiences that a young person endures in the system: standing before a judge, walking through metal detectors, living in locked rooms, etc. Expanding from personal narratives, discussion in workshop naturally turns to addressing the larger societal factors at play that shape our age of mass incarceration. In the advanced workshop, A&E, participants read the introduction of the book The New Jim Crow by Michelle Alexander. 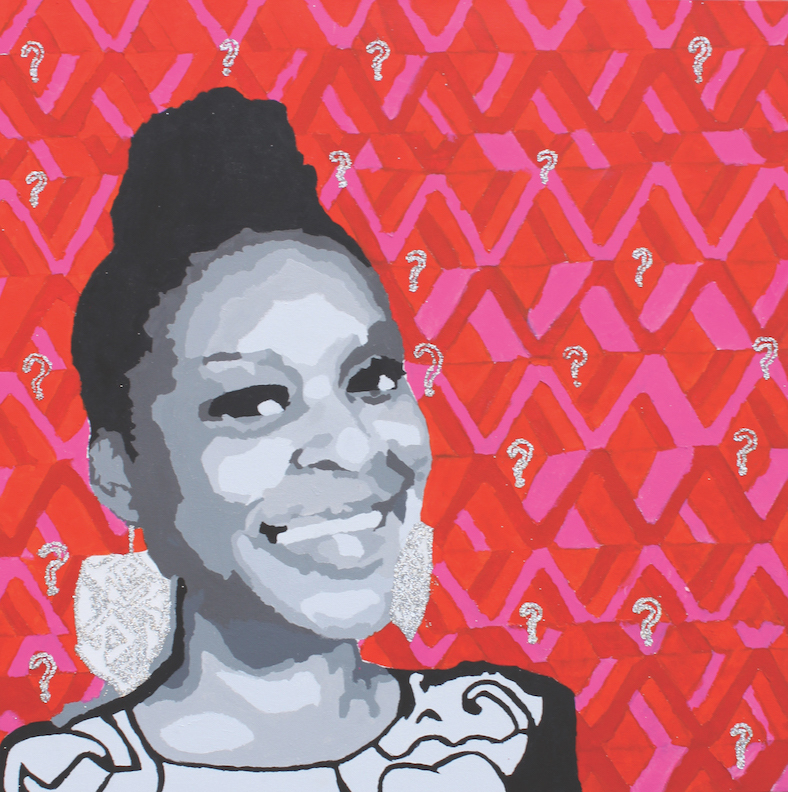 They call upon research, personal stories, imagery, and more, to create works that disrupt misconceptions about incarcerated or disenfranchised people. The artists worked with materials in innovative ways to create physical disruptions within the artwork itself. With or Without is a five foot by five foot painting. This two-sided piece represents our world with and without Ubuntu. On the left is an abandoned house, which represents our community without the love, care, and understanding of Ubuntu. The once beautiful house is now in shambles and showing the aftermath of the violence and injustice that plagues our neighborhoods. It is a stark warning of how our entire world can fall apart if we don’t come together and help each other. On the right side is a poem- the voice of our youth. We worked together to vocalize our views and opinions about how the world could be if we all came together and actively engaged in Ubuntu. The recurring line, “When hatred turns into compassion, when cruelty turns into kindness, communities will start to come together like families,” pin points the simple things we can do in our everyday lives to bring Ubuntu to the ones we love and transform our communities. 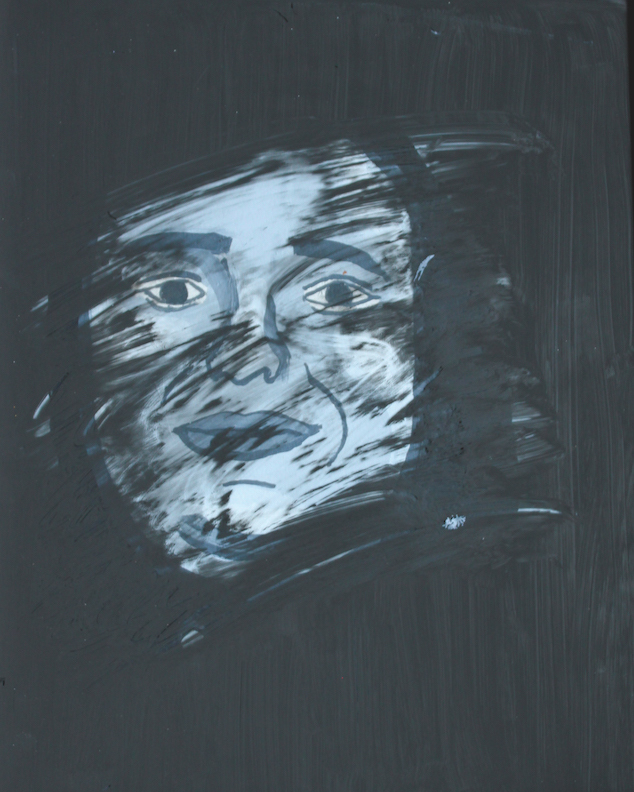 This project was designed to build a conversation focused on obscuring identity in response to Titus Kaphar’s “The Jerome Project.” Participants took self-portrait photographs and learned how to draw their likeness through the technique of gridding. They then created monochromatic paintings of their self-portrait drawings. 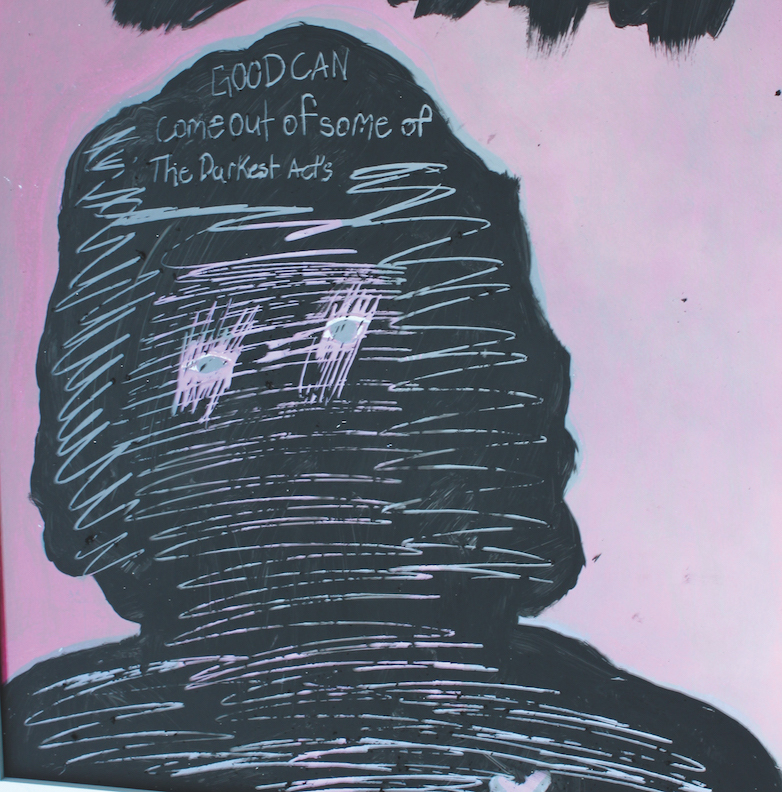 After completing their paintings, participants decided what parts of themselves they either want to reveal or conceal. 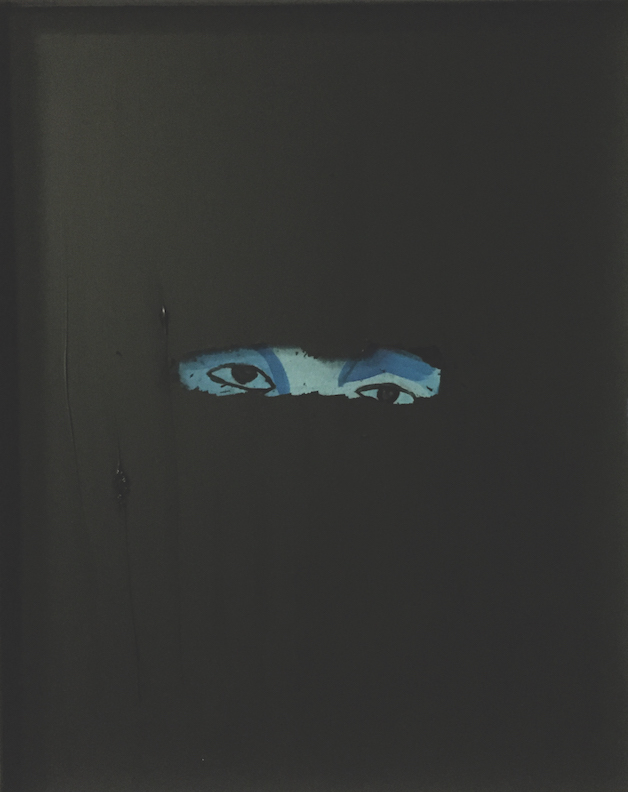 Black gesso is used on glass to obscure identity in response to Titus Kaphar using black tar to cover the faces of different men. The monochromatic technique was chosen to teach students basic color theory. Students also practiced contour drawing, gridding and collaging to build technique in preparation for their self-portraits. All projects are constructed to be forgiving, allowing room for growth and confidence. Youth explored the theme “Interactions with figures of authority.” We spent some time talking about the different paths a young person might take that would eventually lead them to Artistic Noise. During these talks a number of individual and collective experiences came to surface. We also spoke weeks later about our feelings around the Eric Garner and Mike Brown non-indictments. Though youth were upset and frustrated, they were not surprised with the decision. We touched a bit on police brutality, but talked more about how police/ policing is just one part of the problem. Other figures of authority were discussed as well: security guards, correctional officers, judges, lawyers, case workers, and others including the president. These people control the various institutions that youth have visited and spent time in and they each have unique interactions that they shared. We explored these interactions by first researching and visiting exhibitions and spaces. We then created art that was reflective of their feelings, emotions, conclusions, and thoughts on the theme. Using the RESPOND exhibition at Smack Mellon as inspiration, youth were encouraged to step out of their creative comfort zones to by working with new media. 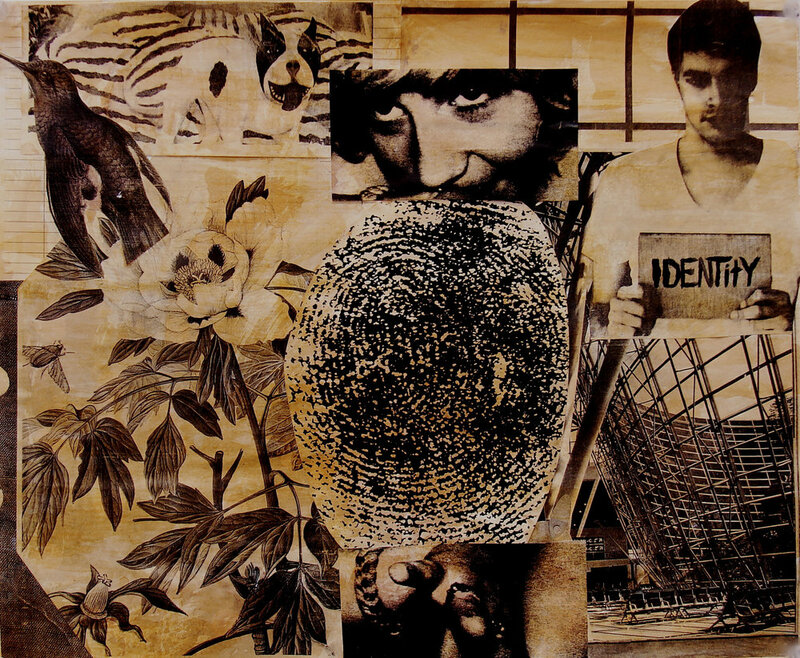 This collage and painting project introduced the notion of interior space of a room or building as a metaphor for inner, personal space of the mind and imagination. Girls created a space that revealed something of their inner thoughts, dreams, concerns, or memories. They were encouraged to incorporate handwritten text into the piece, using text both as a design element and a way to express personal content. Hank Willis Thomas’ series Branded uses the visual language of advertisements to critique what is being sold. Through appropriating ads and brands, Willis Thomas reveals how corporations sell ideas rather than products—ideas that distort and exploit notions of race, gender, class, history, and individual imagination. Students responded to Willis Thomas’ images by choosing an advertisement to co-opt or by building off of his individual works. The Great Battle was created by participants in the Artistic Noise Community Program to address the issue of war and violence in our communities and throughout the world. The artwork features two figures locked in a battle of strength and will. The female figure represents the struggle for peace and the male figure represents humankind's instinct for war. The figures are made from newspaper articles about war and peace found in just one Sunday issue of the Boston Globe. In this project, we explored the chants and phrases of protest movements and their power to inform, make demands and capture collective imagination. By examining text in art and visual culture and by reading and discussing artist manifestos including Martine Syms' Mundane Afrofuturists Manifesto and Merle Laderman Ukeles' Maintenance Manifesto, participants wrote and revised their own Manifestos, pertaining to their experiences, opinions and goals as young women. These longer pieces of writing were then edited to convey the core message of their author using the precise and direct format of a protest banner. This project was developed to allow students to learn from German Expressionist woodblock prints. This project was such a success previously that we have implemented it again this year with Brooklyn Art Therapy Probation Program. 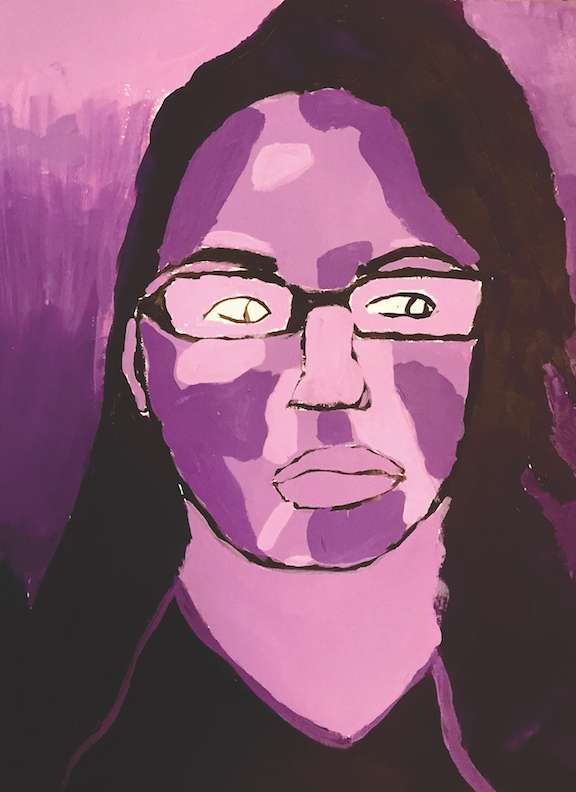 The young artists created self-portraits highlighting how they evolved as a person and grown in the last year. The participants studied the historical context in which the German Expressionist prints were created and how the events in the world affected the portraits created during this time period. Like the German Expressionist artists, students discussed as a group the issues in society personally that affect their lives. They then created their own self-portrait prints to further explore these issues. City Limits is a multi-dimensional sculptural wood mural. 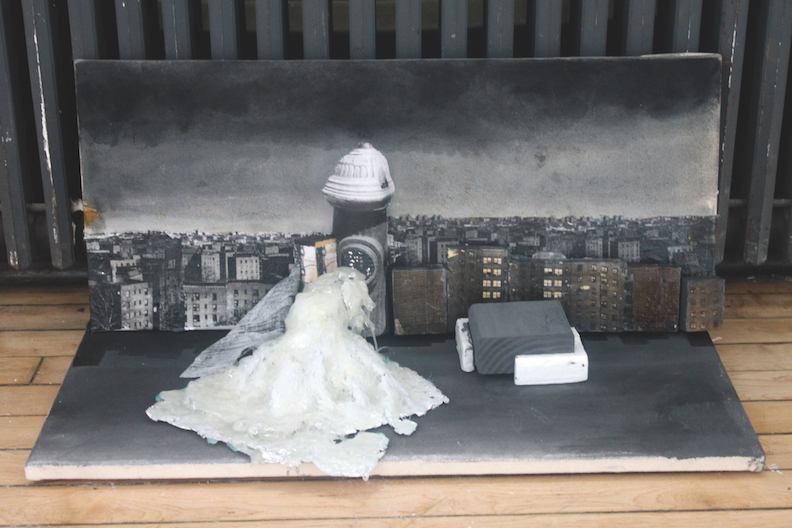 Our young people based their composition on the words and imagery contained in their individual narratives and poetry, with a primary focus being what they could see from the windows of their world and at the street level everyday. Their anxieties, hopes, musings and desires all manifesting as the finer texture of the larger skyline and sky as well as the wide open space of the larger street and individual windows looking on to it. Our young people worked very hard and successfully handled unfamiliar tools and materials to create a unique and multi-faceted project not previously attempted. One War at a Time is inspired by recent events that speak to the issues of racism and injustice that still plague our justice system. 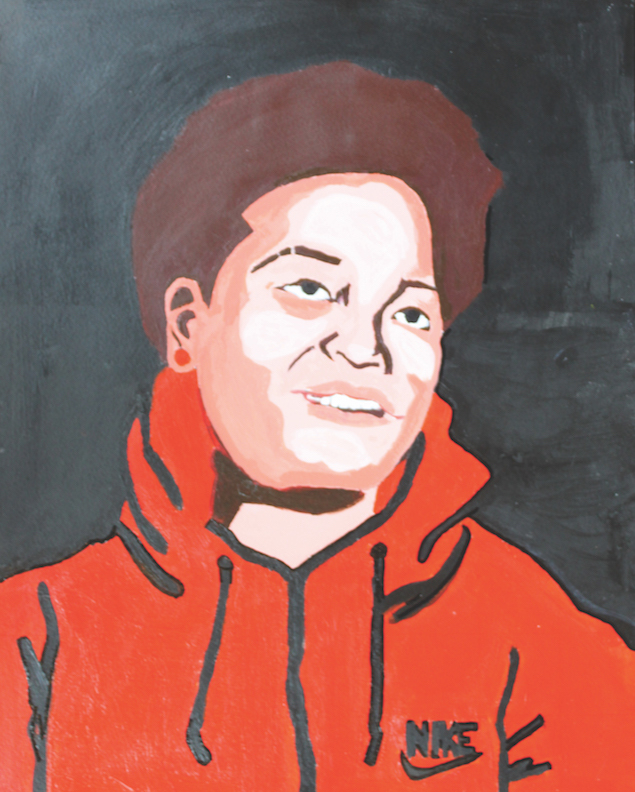 The piece was created by girls in Artistic Noise's studio art classes at Spectrum Detention Center and in the community-based Art and Entrepreneurship Program. Over a series of months the girls conceptualized, designed, and created this painting that represents the issues at hand and expresses their desire for resolution. The painting is broken up into three sections. On the left the police car and young man with his hands up and a sign stating "Don't Shoot" speaks directly to our population's fear of being accused, mistreated, and possibly even being killed without just cause. The lack of detail on the faces allows all viewers to put themselves in the place of our characters. On the right a jury of twelve condemns the accused. The grim reaper takes the place of a judge and below him there is a prison cell holding people who have been condemned, representing the lives of those who have been killed or locked-up unfairly. On the bottom, hands reach up in protest. People want to be heard and understood. On their arms, there are written messages for what the community is seeking -- things such as hope, peace, freedom and vitality. The title, "One War At A Time," represents the constant struggle of our population. People, who, even in this day and age, have to fight for equality and fairness. It relates to prejudice and how we treat one another and shows the world that we want things to change. From The Outside In is a collaborative sculpture created by girls in the Spectrum Detention Unit and those in the Arts and Entrepreneurship Program. The piece is a multi-layered cone-shaped sculpture, inspired by Russian nested dolls, called "matryoshka." The tallest, outside cone is 2' tall. The five layers of this piece represent the inner selves of our participants as "dolls." Youth participants brainstormed imagery for the different layers, which represent the different layers of self, from outside persona to innermost being. The outermost doll represents the "outer self" which is visible to the public and is decorated with flowers and diamonds. The second, smaller doll represents the "Inner Self", depicting our participants tough histories with a dark night covered in teardrops that become rain, a tree with a broken heart to symbolize broken families, and a stitched scar at the back. The third doll depicts our participants' hopes and dreams of having a happy family, graduating from school, traveling, and owning a nice home. The fourth doll is a skeleton over a tomb with needles and spiders with a barb-wire fence. This doll shows their fears of death, drugs/overdosing, and continued incarceration. The final and deepest nested doll represents their "core" and what keeps them strong during hard times. This doll is decorated with a tree with a full heart, musical notes, and a rainbow-filled sky. The Storytelling Project is based on the belief that tolerance, empathy and strength can be fostered through the powerful combination of story and art. This project celebrates the notion that when stories are shared openly, genuinely listened to, and reflected on through art, they can make a lasting impact on all who experience them. Beginning in February 2012, autobiographical stories of youth and staff involved in Artistic Noise workshops were digitally recorded. Inspired by interviews and recordings from Story Corps and Radio Diaries, our youth reviewed stories and developed concepts for our work. Moved by this research, they decided to conduct interviews revolving around the driving question: How has your life been different than what you expected? Stories were collected by the youth from the Bronx & Brentwood Residential Centers and our Community LINC programs. Youth interviewed each other, their teachers and staff at their sites, allowing for meaningful connections to emerge. Advancing the process of sharing and appreciating these histories even further, we began to plan artwork based off these recordings. Our youth swapped stories, choosing interviews of another that touched them and committed themselves to making those memories visual. Sharing the story of someone else is an essential component to the project’s progress, since it has led us to explore the interpretative realm, and what is means both artistically and psychologically to be in another's shoes for a period of time. The Storytelling Project has led to everyone learning a little, or in some cases, a lot more about each other, putting each side in perspective. The same way the stories inspired our youth, we hope these recordings and responding artworks will have the power to inspire our audience to share, listen and respond to the possibilities this exchange has to offer our world. These cast plaster hands are meant to represent the circle of emotions people experience. They were cast by a group of young men at The Bronx Residential Center. Joy: Joy is all the good times and memories that I have and the way I feel about them. Excitement: Excitement is when I hope for the best and whatever I hope for, like going home on the right day or getting a cell phone will come true. Talking to my family makes me feel good, like when I’m playing ball and I hope the ball goes in and it does. I feel excitement when I get what I want from people and when I ask someone for something and they bring it to me on Sunday. Hope: I hope I get out of the BRC, graduate from High school, go to college and have a great life. Effort: I feel like I put too much effort into stuff that doesn’t require that much effort and it is a waste of energy. Anger: This isn’t the life I asked for or hoped for but it is the life I got. I try to be happy, but my family always blocks it. I don’t know what to do or where to go. Help me please, why am I so angry? Disappointment:There is nothing like being let down; but once we’ve all fallen, the only way to travel is up. Failure: Sometimes you just gotta keep reaching and trying to get what you want. I feel like I’m always failing, but I will never give up. Balance: I don’t know how to explain balance because I’m still looking for balance in my own life. Grateful: As a staff at the BRC and a person I feel very grateful that god gives me the strength and energy to come to work everyday with the hope and faith that at some point I will talk to a youth in our program each day. I expect that one day that kid will remember our conversation and it will help that youth make the right choice and do the right thing and the youth will stay out of trouble and jail. I don’t expect all the residents to listen but I am grateful for the opportunity to change at least one youth. The participants at Spectrum Detention began this project by writing a journal entry about their hopes and dreams for the future. Over the next few weeks, the youth artists collaged images and words from their original journal entries onto paper panels for each section of the dress. All of the panels were stitched together to create the final dress, which presents a collective portrait of the girls and their aspirations for a brighter future. Within the collaborative art practice, the adult role becomes increasingly multi-faceted. Adults must be flexible enough to both take charge and let go. It is this conscious and reflexive action of stepping in and stepping back that is essential for fostering a deep level of youth engagement, youth participation, and youth voice. When we step in, we are aware of the need to create a safe and enriching space, organize and plan, motivate, facilitate, mentor, teach, share knowledge, and share ourselves. Alternatively, when we step back, we create openings for youth to step into these roles. We must make the leap of faith necessary to yield responsibility and control of the project to the youth. This Ubuntu Quilt Project was born from such a “perspective shift”. The project’s theme, hair braiding, came out of what was initially a conflict of interest: girls in lock up had stopped coming to the Artistic Noise art sessions on Saturday afternoons because that was the time they were given to braid each other’s’ hair and that was their preferred activity. Instead of fighting this situation, we decided to use hair braiding as a theme for our next visual inquiry. After all, braiding hair is not only a symbol of sisterhood, friendship, self-esteem, and beauty, it also is one of the most ancient forms of art. We started this project by bringing in a video camera ad giving the girls an opportunity to document the braiding process through stop motion photography. We then took stills from these sessions and projected them on paper on the walls and started doing sketches and paintings from the photos. From there, we started exploring hair braiding across time and place: from ancient Nigerian head sculptures (Benin) to present day hair styles. We did weeks of drawings and paintings of heads, hair and head dressings, exploring different notions of beauty across cultures. Eventually, these drawings formed the source material for the quilted designs, which became the centerpiece of the Ubuntu Quilt. 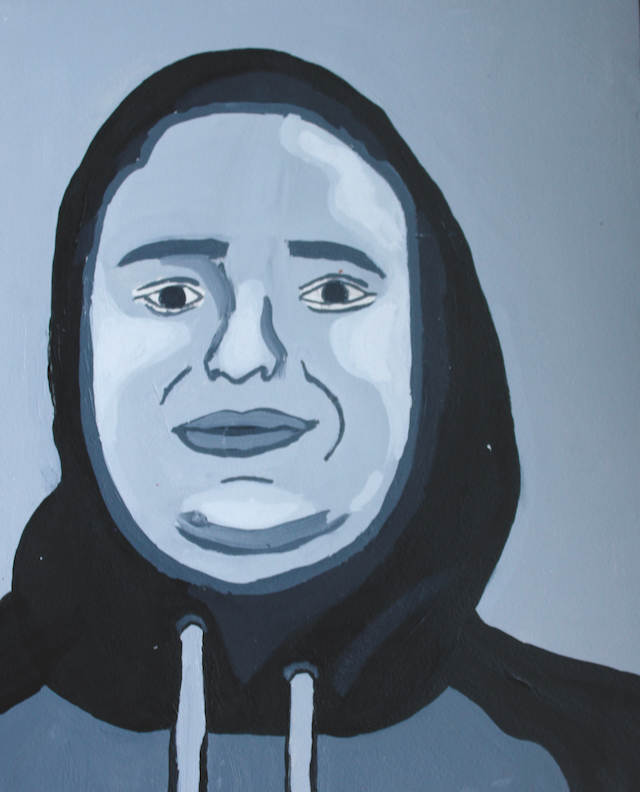 Over 50 people helped bring this project to fruition, including girls in the juvenile justice system, together with their friends, volunteers and teaching artists. The final quilt was entitled Ubuntu, which is a Bantu word that relates to human kindness and roughly translates to: “I am what I am because of who we all are”. Hair braiding is a perfect metaphor for Ubuntu because it is not only difficult to braid one’s own hair, it is not as pleasing or enjoyable. The girls designed cards as personal statements that were exchanged between DYS girls and boys in New York. The cards were made using mixed media collage and were based on source imagery that the girls generated themselves through drawing and digital photography. 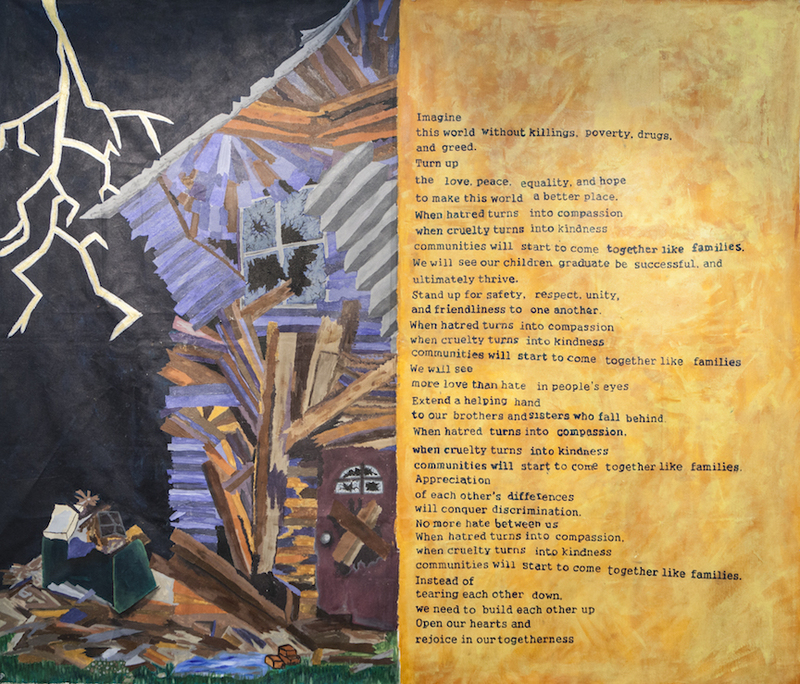 The resulting visual narratives addressed themes of racism, abuse, love, violence, identity, and loss – difficult themes made more meaningful and understandable through dialogue. Artists: Approximately 20 Girls, age 13-18, Spectrum Program, Detention and Treatment Units, Metro Youth Center, Dorchester, MA. Artists: Girls, age 16-18, Rose M. Singer Center at Riker’s Island, New York. Boys age, 15-18, City Challenge Center, New York. Wheelock College, Towne Art Gallery, Youth Transforming Violence: UBUNTU in the Works, April 22nd-26th. Massachusetts State House, Violence Transformed, Opening, April 28th. The Cloud Foundation, Cloud Place 2nd Floor, May, 2008. 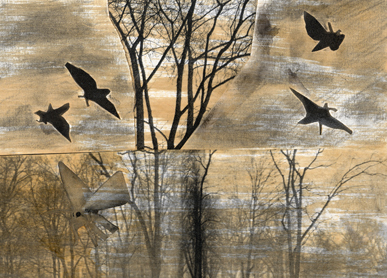 Visual arts practice provides an avenue for communication that is powerful, direct, and immediate. 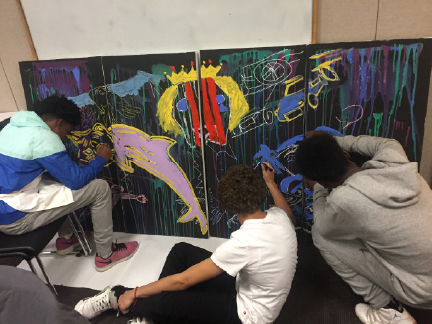 At Artistic Noise, art projects engender a feeling of freedom and power when youth artists find a means to personalize them – to give voice to their own experiences. Our hope is always that our young participants will take ownership of the concept and implementation of the art they create. In this way, our youth artists experience the satisfaction of genuine authorship and recognition. 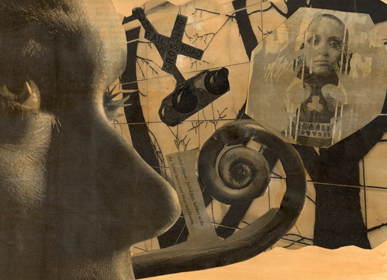 In the Sepia Stories project, youth considered their choice of imagery and manipulated multiple images to tell a personal story. They were asked to include certain elements (like: landscape, portrait, pattern, text, etc.) as well as to consider compositional issues such as the placement on the page and activation of the edges. The final results of the Sepia Stories project are strikingly intimate and forceful. 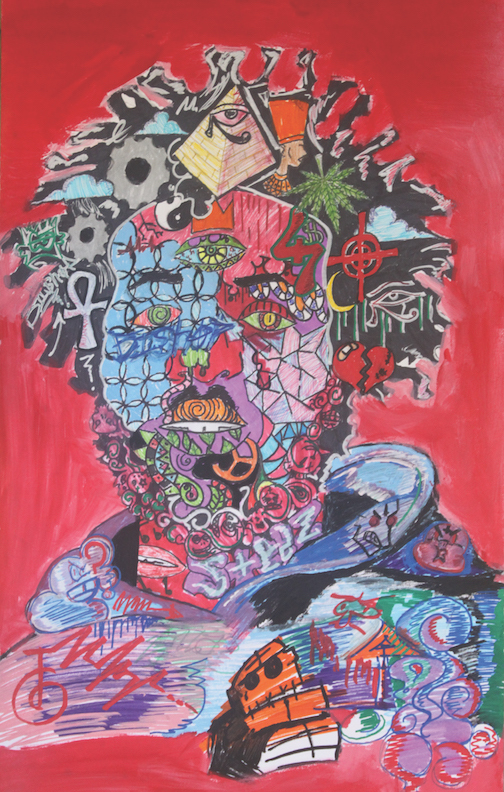 Our young artists address issues like race, family, violence, body image, identity, community, violence, peace, poverty and inner desires / aspirations. When given the freedom and opportunity to do so, they tackle larger themes that relate powerfully to themselves, their environments and their relationships to others.